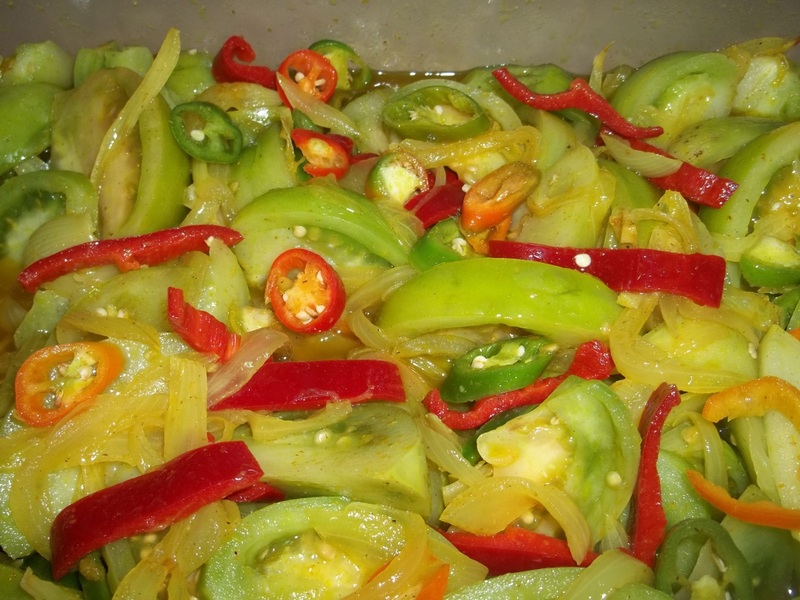 Marinated vegetables are very popular in Georgia. 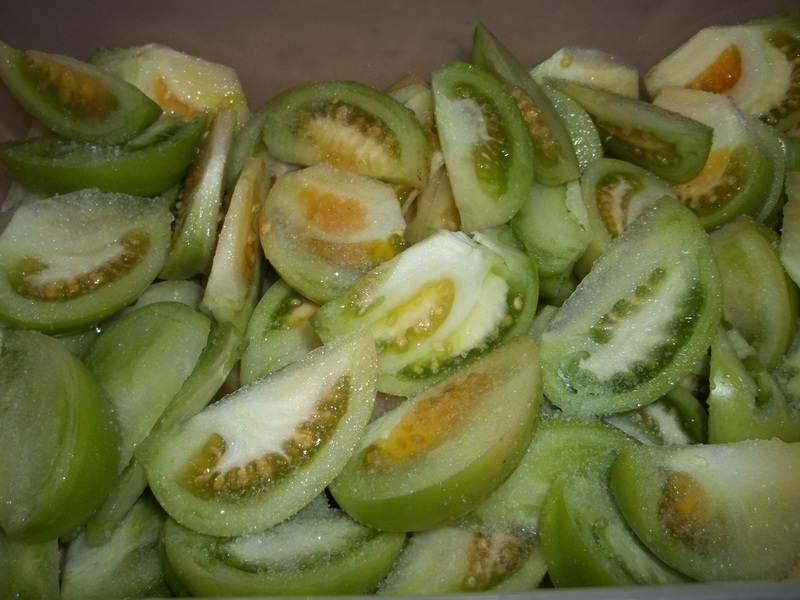 In this recipe we show how to make marinated green tomatoes. 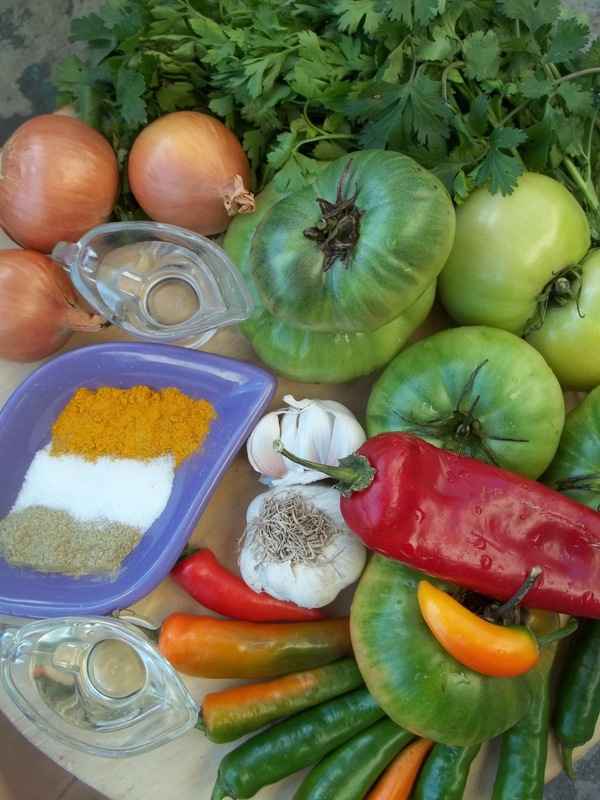 Ingredients: 1.5 kilos of green tomatoes, 300 grams of sweet and hot green, red and yellow peppers, 3 large white onions, 1.5 garlic bulbs, 1 tbs of dried blue fenugreek, 1 tbs of dried marigold, salt (amount dependent upon personal preference), 70 grams of celery leaves, 70 grams of fresh parsley, 70 grams of fresh coriander, 100 ml of oil and 120 ml of white vinegar. 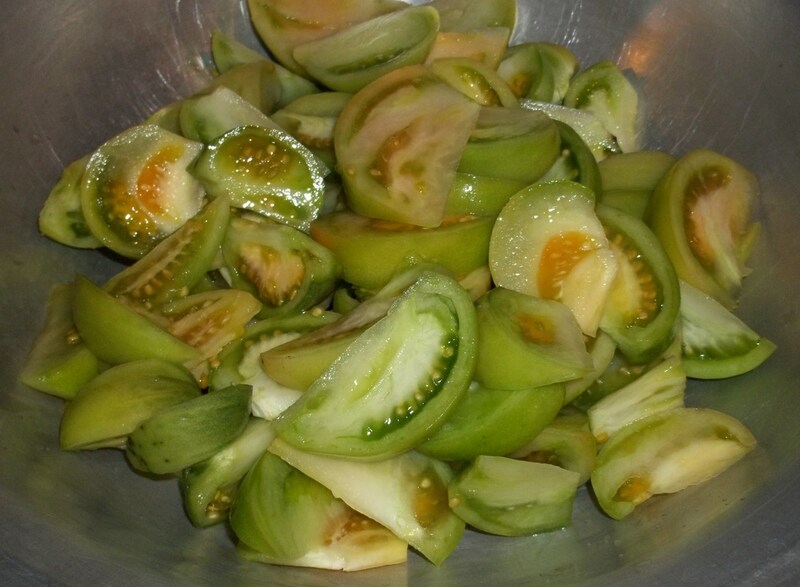 Preparation: Chop the tomatoes, add to a mixing bowl and add salt (at least 1 tbs). Mix thoroughly. Allow to stand for 2 hours. 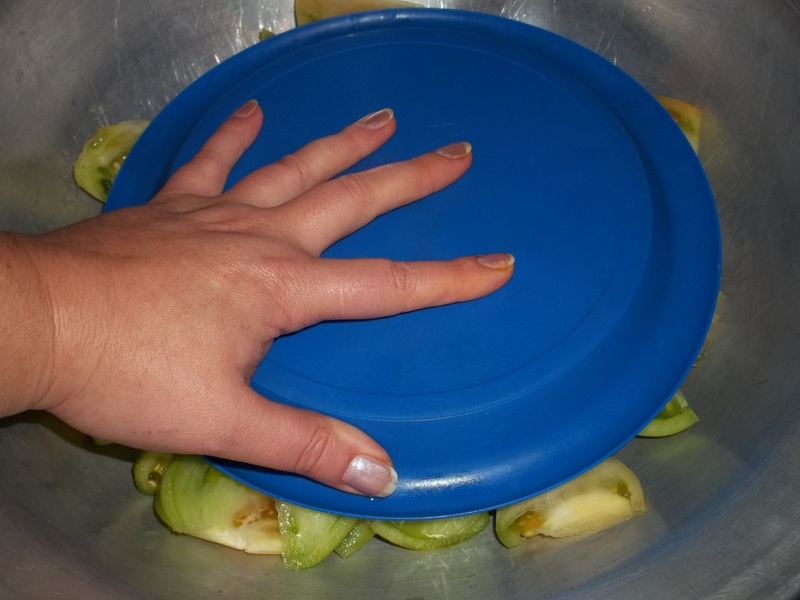 Transfer to a colander placed over a bowl and use a plate to gently press the tomatoes. Chop the onions and add to a pan containing 100 ml of oil. 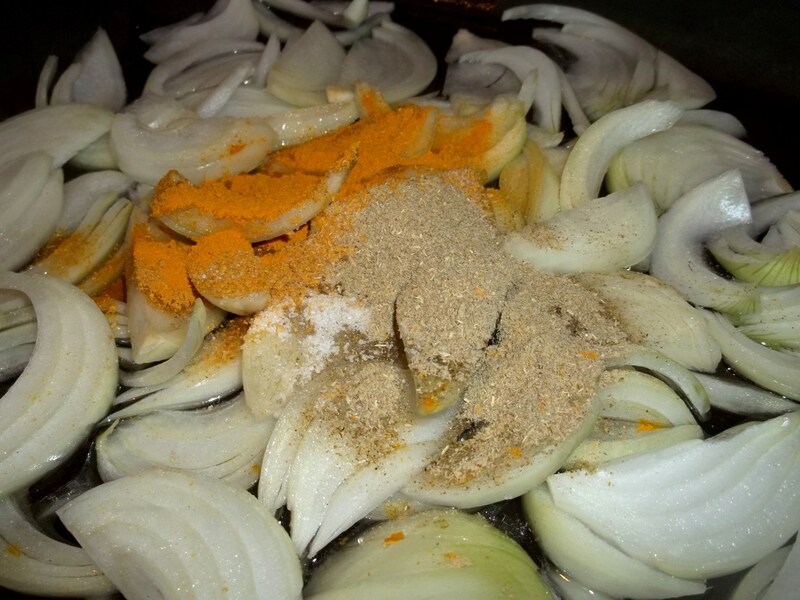 Add the blue fenugreek and marigold spices. Stir and fry (covered) on a medium heat for 5-6 minutes, stirring occasionally. 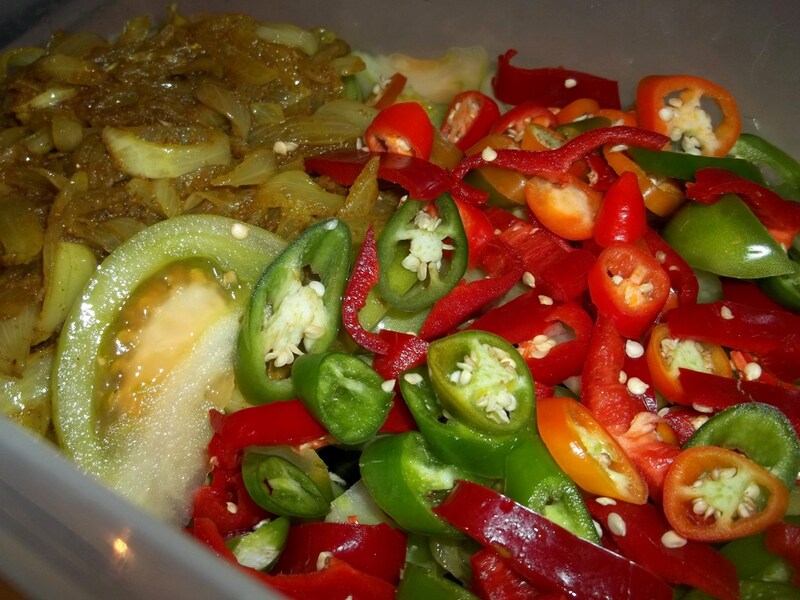 Slice the sweet and hot peppers and add to a mixing bowl that has a cover. Add the fried onions and the oil that was used to fry the onions. Chop the coriander, parsley and celery leaves. Finely slice the garlic. Add to a mixing bowl and stir thoroughly. Heat the white vinegar until it boils and allow it to boil for a further 2-3 minutes. 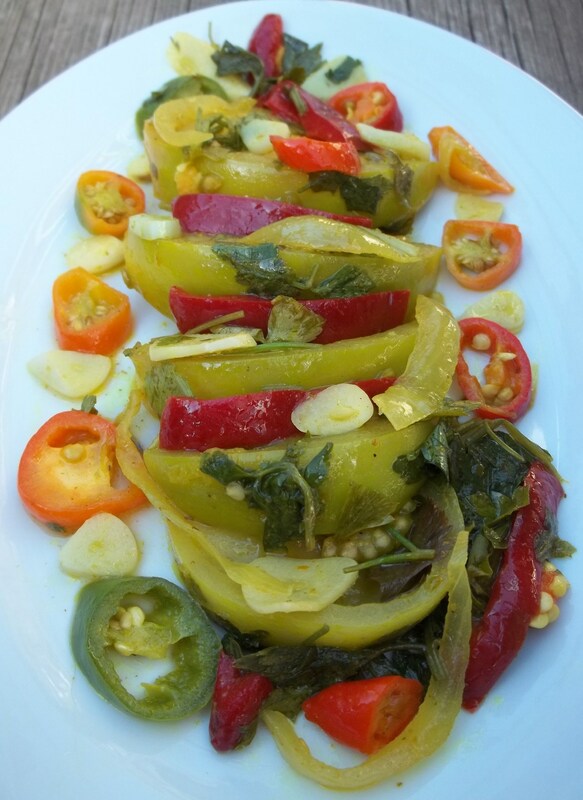 Remove from the heat and allow to stand for 2 minutes and then pour over the tomatoes and peppers. 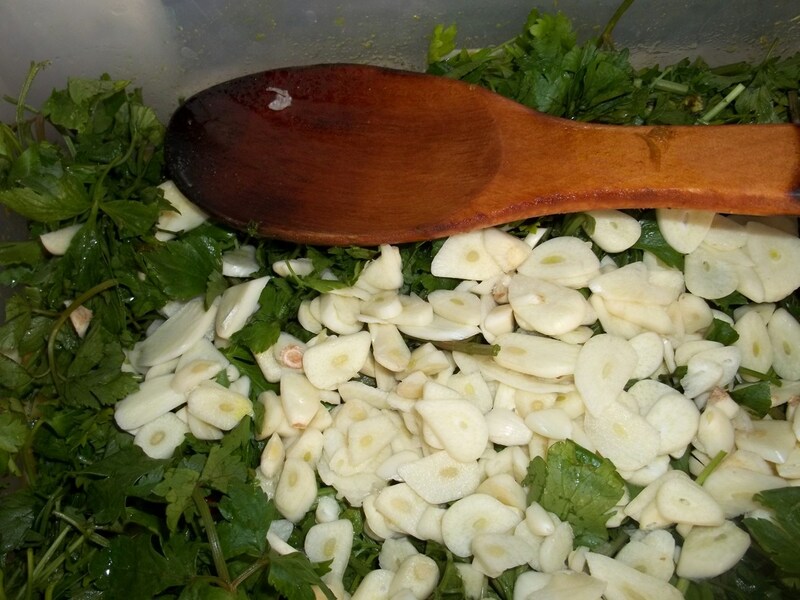 Add the chopped parsley, coriander, celery leaves and sliced garlic. Put the cover on the mixing bowl and shake thoroughly. Place in the refrigerator for 3-4 days. Remove the bowl several times a day during this period and shake thoroughly. 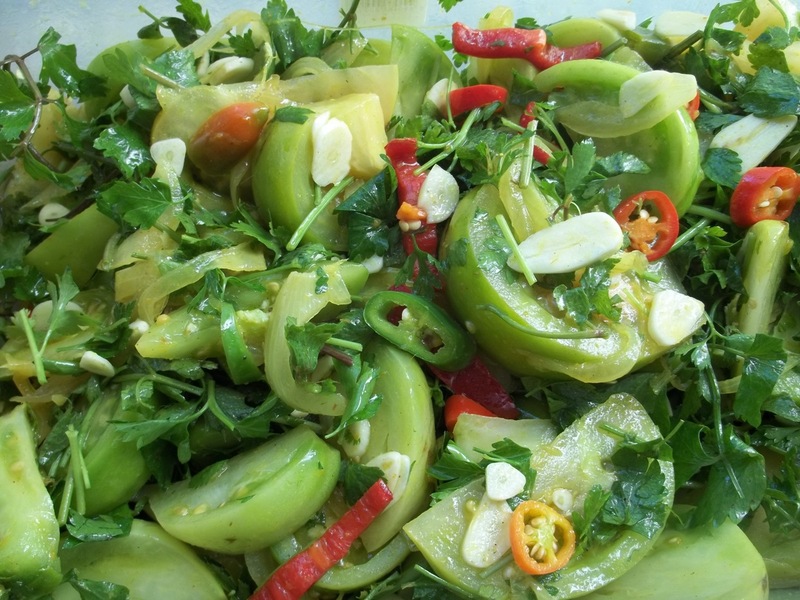 Serving: Marinated green tomatoes are especially delicious with meat dishes and lobio. If stored in sealed jars the tomatoes will keep for months. 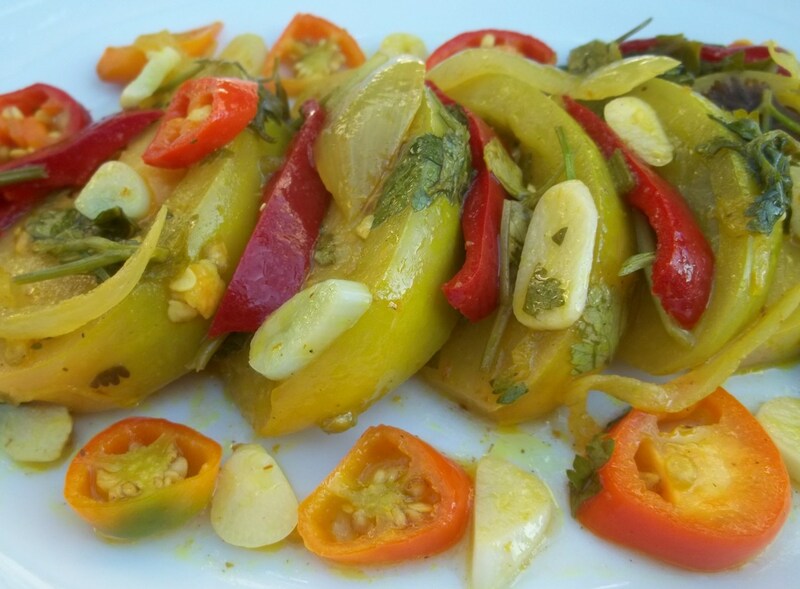 Enjoy your marinated green tomatoes!